These luscious mini cheesecakes are bright and fresh and have a buttery shortbread crust. 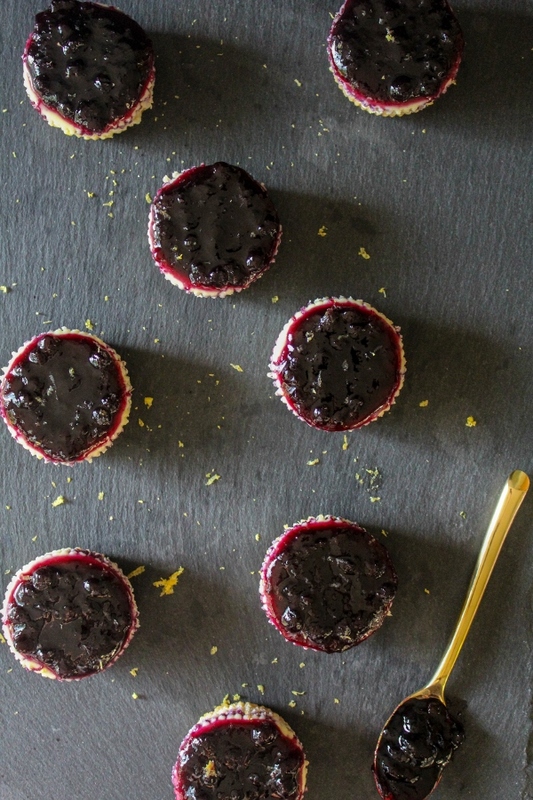 Topped with flavorful bluberry preserves, they are the perfect bite sized summer dessert! It has been such a busy few weeks, I feel like I've not been around much. 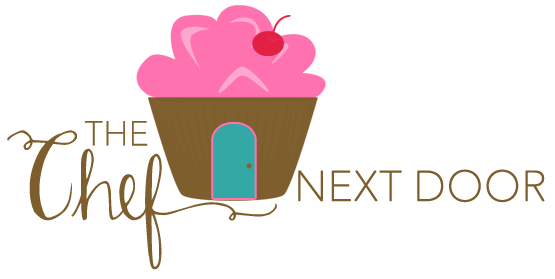 Between a trip to Kansas, a busy work schedule, and the holiday weekend, it's been go, go, go! Speaking of the holiday weekend, I hope you had a wonderful 4th of July! Ours was pretty low key - my oldest came home for the long weekend so I got to spend time with both of my boys. My parents came over on the 4th as well and we had a delicious cookout filled with cheese stuffed burgers, my mom's famous potato salad, baked beans, and potato chips and dip. Isn't that the most traditional Americana menu ever? HA! 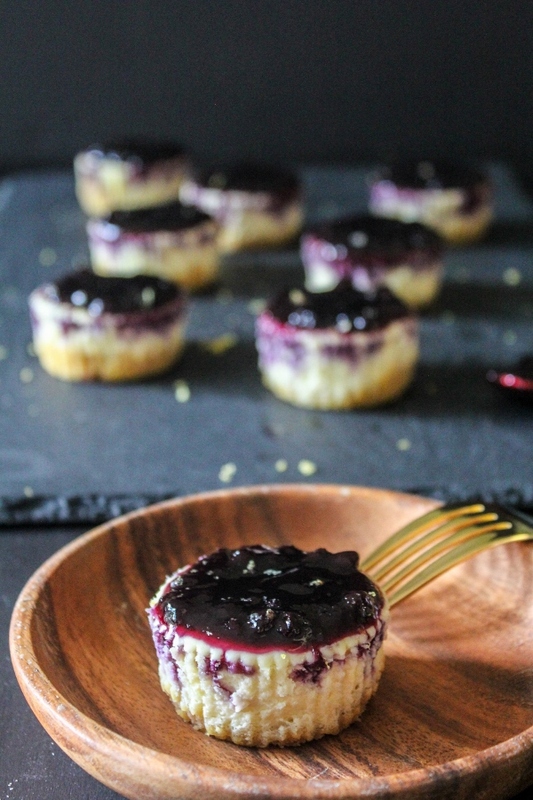 For dessert I created these amazing Mini Blueberry Cheesecakes. The crust is made from Walker's Shortbread Rounds and the decadent topping is Bonne Maman Wild Bluberry Preserves. 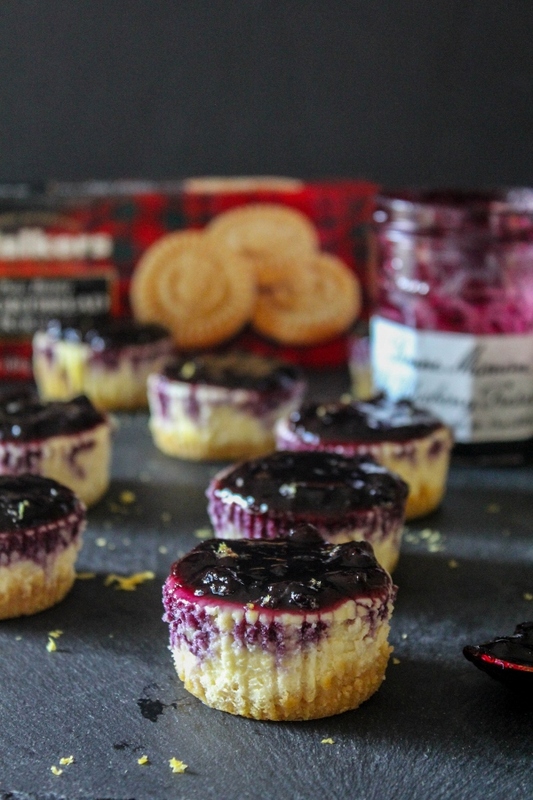 I absolutely love using buttery Walker's Shortbread as the base for all sorts of bars and cheesecakes. The preserves are thick and sweet and filled with real blueberries, which adds the perfect bright touch to the cheesecakes. 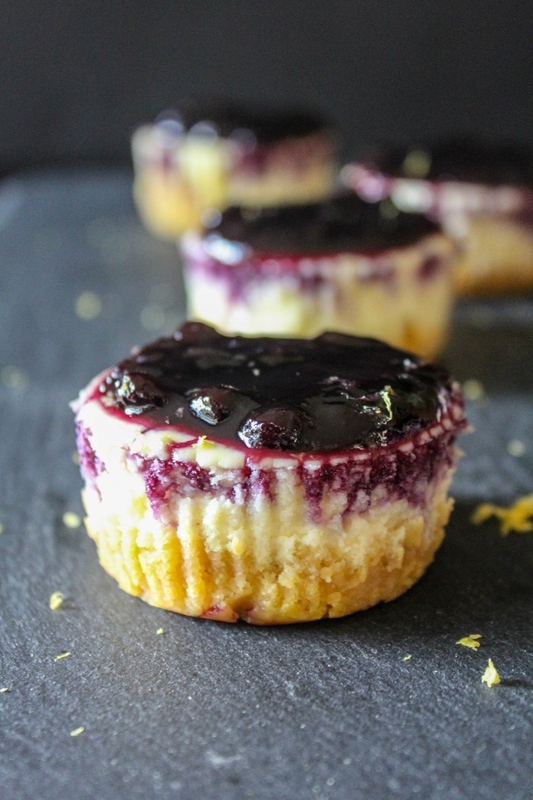 These Mini Blueberry Cheesecakes are simple to make and are the perfect dessert for your next barbecue, potluck, or summer party!